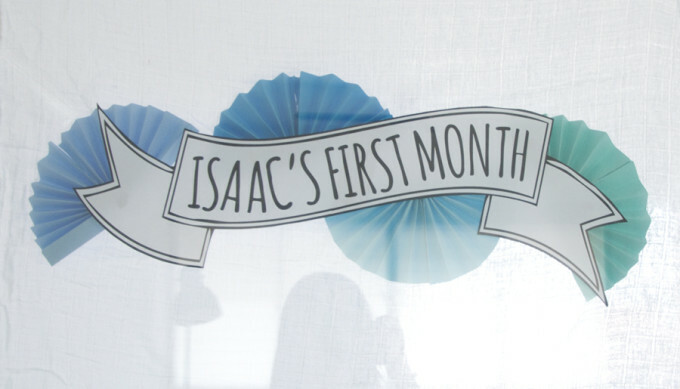 In Chinese tradition, we celebrate the day our baby completes his or her first month with family and friends. After a whole month of getting used to our baby’s arrival, we really looked forward to catching up with close ones! Juggling the baby’s needs and the business took quite a lot of time and sleep so preparing for the party took a lower priority – at least I tried to convince myself of that considering how much I love planning parties. In fact, I decided to go without decor and buy the door gifts from a supplier instead of making it ourselves so that it wouldn’t add more unnecessary stress or work. But of course, who was I kidding! The night before the party, I decided to make a sign on our kitchen glass door to prevent people from walking into it by accident. Previously I had pasted a line of random post-its on the door – my husband has walked into it enough times for us to realize it’s a safety hazard (ulp!). 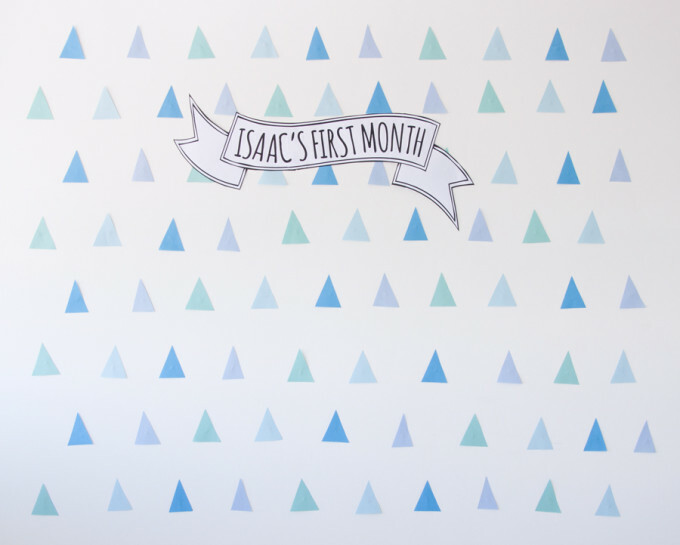 I had always intended to have a decal pasted on the kitchen glass door but never got down to it once we were expecting Isaac. 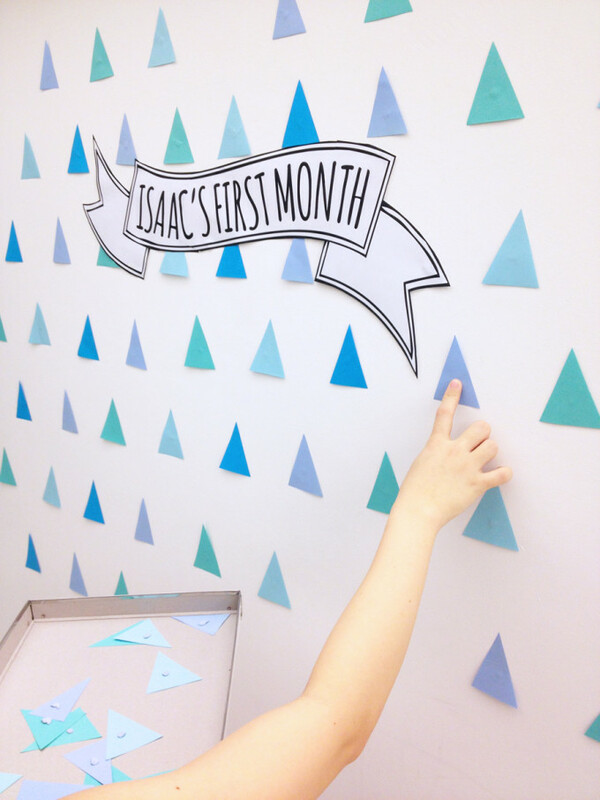 So we made a first month party sign instead! I was really happy with the sign… and that really got my itchy hands going. It felt sad for that sign to be our only decor and it made the blank wall by our front door seem too plain.